Original inhabitants ~ Native Indians - Saint Johns River Historical Society, Inc.
Fortified Indian Village. A fence made with thick round poles, some 12' high, surrounded the village. Two guard stations with attendent warriors protected the main spiral like entrance. Most Villages were located near streams and rivers, which were often redirected to the main entrance. In the center of the village was a large assembly area which around could be found the Chiefs and the principal elders. glance that she belonged to a high social & political class. and then rub in wood ashes mixed with berry juice. impressive in appearance. 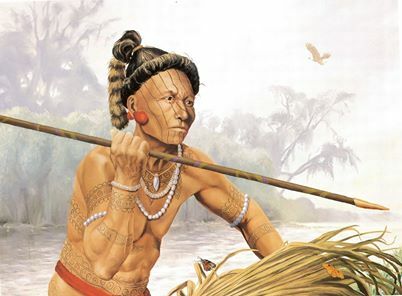 The Europeans were fascinated by how tall and athletic the Timucua men and women looked. 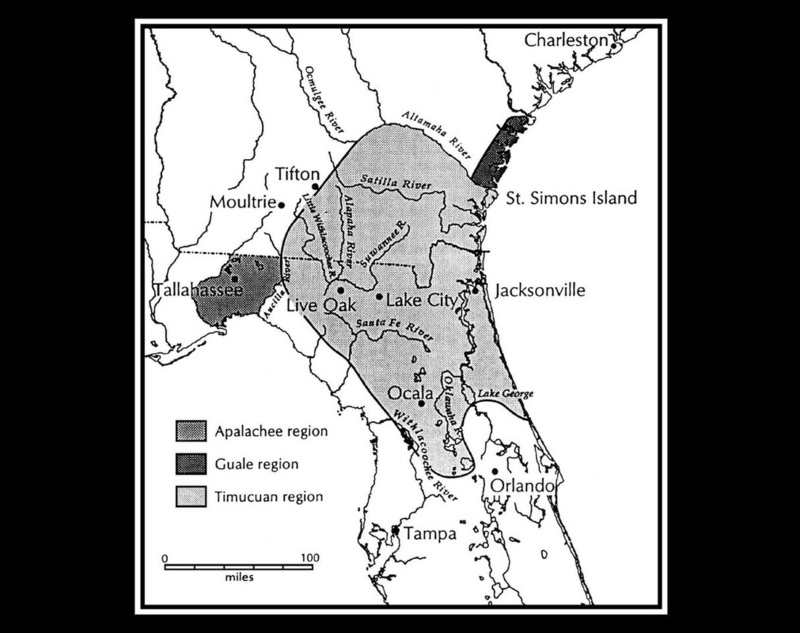 Timucua who lived along the coast and the inland rivers, including the St. Johns. Over time, these early Floridians ate countless tons of such shellfish as oysters, snails, crabs, clams, and mussels. They piled the debris in middens. These are trash heaps that contain shells, bones, broken pottery, etc. Some of mounds are massive, and there were lots of them.Middens used to blanket parts of Florida's East Coast, from Cape Canaveral northward. During the 1800s, in fact, Americans couldn't believe their eyes. They couldn't comprehend that human activity had created so many mounds. Numerous middens, though, have been cleared away. Shell miners have used them for road beds & other purposes. This situation has been ongoing sincethe late 1800s. 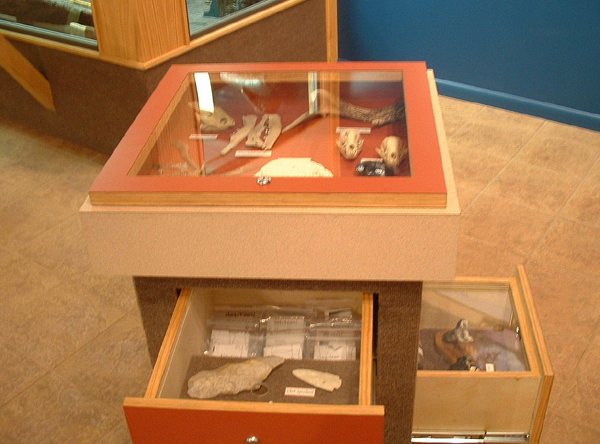 Federal & state laws, however, now prohibit the disturbance of middens on public lands. Unfortunately, those on private property are still fair game. EASTSIDE & WESTSIDE -- On the east side of the St. Johns River, Timucua villages stood in an area of generally sandy soil. This wasn't very conducive to raising crops. Therefore, gardens tended to be smaller, and Indians depended more on gathering wild plants. 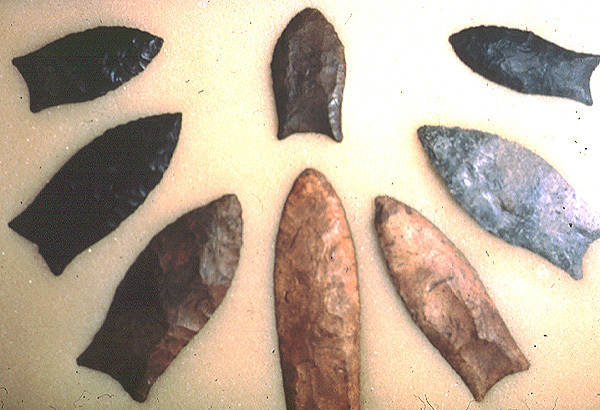 The Timucun villages on the west side of the river, however, benefited from a richer soil. They found it easier to grow their food. You'd really get footsore in Timucua times, if it weren't for canoes. horses or other draft animals. GETTING FROM HERE TO THERE According to the French leader Jean Ribault, each Timucua canoe could carry up to 15 to 20 individuals. The vessels averaged 18 feet long. of pine or cypress. They demonstrated tremendous patience while at work. 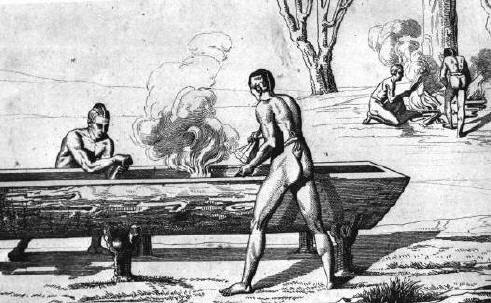 They gradually hollowed the canoe's body by burning, and they controlled the fire with dams of wet clay. Bit by bit, they sculpted & cut out cut out the scorched wood. Utina, chief of Timacauns, encountering the aggressive Spanish Soldiers. 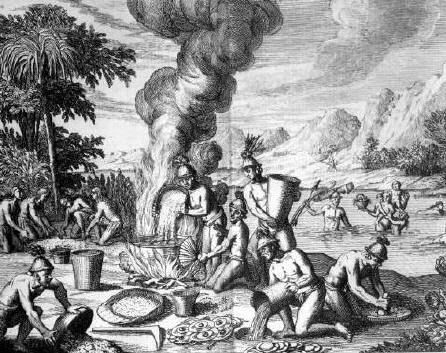 As History tells us, The Spanish were friendly at first meeting with Outina/Utina, chief of the Timacau. 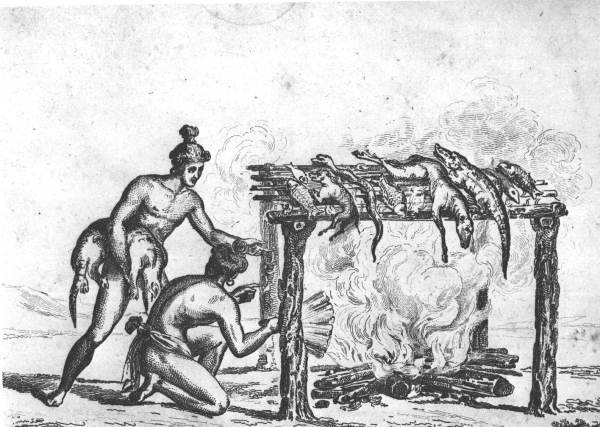 Their aggressiveness made the Indians uncomfortable, as they would take their men for trips farther into Florida. They began to battle, as they took them as slaves. Soon the more Spanish arrived, disease was brought to the Indians and many died. 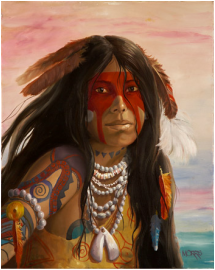 It is noted that there were as many as 600,000 Indians along the St. Johns River. It was reduced to 160,000. Pedro Menendez De Aviles wrote his version, and has been transcribed by the University of Florida. The better known Seminole do not appear until very late in the Florida story. 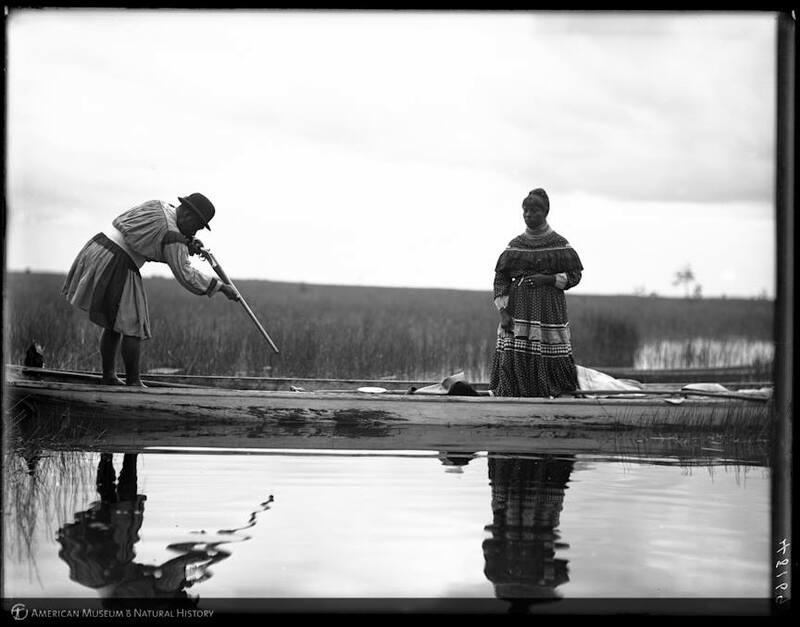 The Seminole first entered Florida during the 1700's, just two and three quarter centuries ago. In 1750 the Creek Nation Conference took place in Georgia. Part of the Nation was discontented and broke from the main group. They became the Seminoles. This warlike group moved into North Florida starting the Seminole Wars. They couldn't live peacefully with their own people and were not tolerant of white settlers. 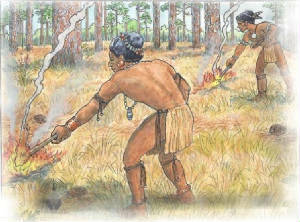 As a result there were several Seminole Wars against the settlers and villages.